I’ve done a lot of research on this question, and I’ve got answers. 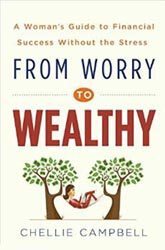 I wrote a whole book on it: “From Worry to Wealthy: A Woman’s Guide to Financial Success Without the Stress”. You can get it anywhere online, so get one today and get more money tomorrow!